Every business wants to have a great culture, but for many of us that is not our reality. And if we aren’t willing to talk about this and learn from each other’s mistakes, toxic work environments will continue to perpetuate. So, imagine you are considering a startup and are very excited about the grand adventure ahead. You are talking to friends as possible partners and potential investors. The idea for the business is great, and you know in your heart of hearts it will be successful. That describes me, years ago, leaving my last job as an employee and starting my first consulting contract. The excitement was beyond what I could imagine. I was meeting and working with new people on projects, learning new things, and was busy developing software for clients. The business began to grow rapidly, and so did the income. My innocence and excitement allowed me to keep blinders on and ignore flaws in others who may have been taking advantage of my trust. Years passed, and the honeymoon period wore off. I would disregard warning signs as personality differences. Friends and family members kept trying to point out issues; yet I would brush it off because of my desire to keep growing the business. Once the businesses had taken strong root, I was still working 70- to 80-hour weeks. The folks who were supposed to be picking up the slack or helping hire new talent were nowhere to be found. When I would bring up the subject of needing to hire quality help, I was told either we couldn’t afford it, or I was to be blamed for keeping projects to myself. It wasn’t until years later I found out my former associates had prevented my managers from hiring key people. After exiting the business, I was still struggling emotionally and unable to describe what I had experienced until a friend pointed me to the book Healing from Hidden Abuse by Shannon Thomas, LCSW. Simply reading the introduction was an eye opener for me. As I was reading I kept asking myself, “Was the author in the meetings with the former associates?” Some of these conversations and words were mentioned verbatim in the book. That is when the realization of having lived through a toxic work environment finally hit me. I had been dealing with classic narcissistic associates using an “idealize, devalue, and discard” approach on me for years. Whenever that cycle of “appreciation” followed by “put downs,” then followed by “being ignored” would happen, I kept feeling that I had done something wrong. Since then, I completed reading the book and sought counseling with one of the coaches from the author’s organization. As time passed, I have been able to discard the untruths, and I am continuing to recover. I have begun to learn to set boundaries. As I have opened up about my experiences, I found out this issue is much more prevalent than I knew. Recently I read an article about a young mother, a nurse, who committed suicide — the police found out she was psychologically abused at work. Then I read this quote by Thomas, “The more people who know the signs of psychological abuse, the better. Abusers count on never being called out for their behaviors. They think they have everyone around them fooled. They often openly gloat about it.” This news and that quote convinced me to write this article. As I have begun my new journey, it has become more vital to become aware of how to detect toxicity. A genuine leader, manager, friend, or business partner will be one who is transparent and is willing to own up to their faults. They show true empathy for those around them, are self-aware, and at times are self-conscious. They celebrate the success of others and build up others. They look for the good in other people rather than point out faults. I hope we all take heed to learn who the people are that we place our trust in as we excitedly look to the future when starting a new business or seeking venture funding. 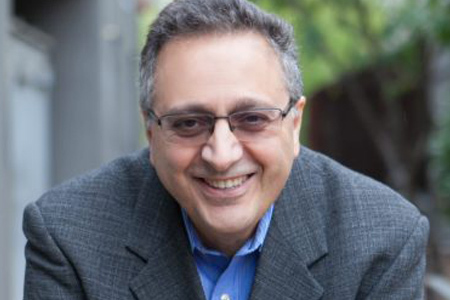 PIROOZ ABIR Pirooz Abir is an accomplished entrepreneur, senior executive, and consultant with years of success within the information technology industry. He has a master’s in structural engineering from the University of Pennsylvania and is a member of the Tau Beta Pi Engineering Honor Society.